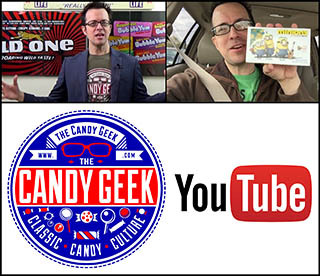 To my recollection, candy started taking on a larger presidential profile during Ronald Reagan’s presidency in the 1980’s. President Reagan was a fan of a brand of jelly beans that were relatively unknown at the time – Jelly Belly. Soon the stories of his appreciation for those gourmet jelly beans hit the evening news – and a confectionery hit was born. We can assume that Jelly Belly’s initial success owes a good deal to our 40th President’s sweet-tooth. Dating back to the term of George H.W. Bush, M&M-Mars has produced special editions of their M&M products that are reportedly kept on Air Force One and the White House. 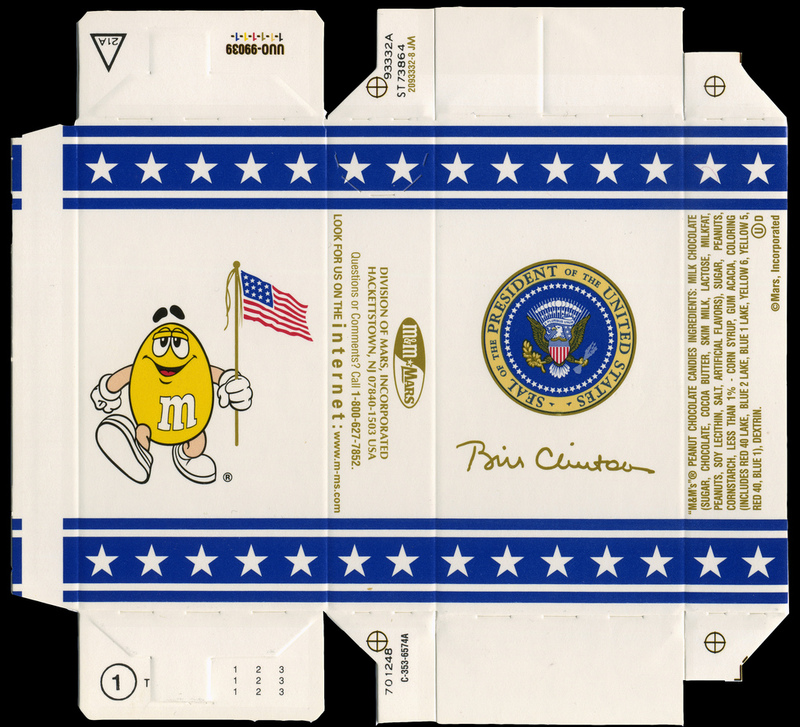 These Presidential M&M’s have special boxes complete with the Presidential seal, as well as the signature of the President they were made for. Because of their notable status, they are often saved, and a collection of them can be assembled with relative ease. This entry was posted in Chocolate, M&M's. Bookmark the permalink. I was in DC a few months ago, and the National Museum of American History has on display a box of Clinton M&Ms from Marine One. Back when we had the contract for Air Force One the secret service gave me two boxes of George H.W. Bush’s boxes of presidental M & M’s. I did not know they kept on making them, I see BHO has them as well.